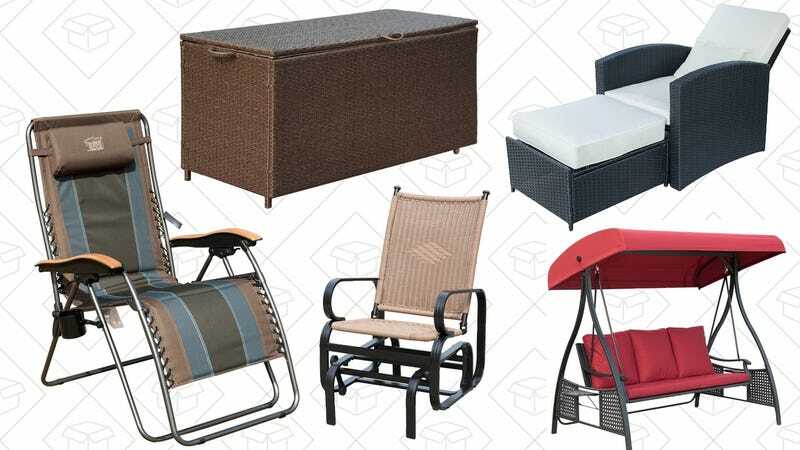 Believe it or not, the first day of spring is next Tuesday, and you can be ready with Amazon’s one-day sale on outdoor seating. Inside, you’ll find deals on folding chairs, recliners, swinging benches, and even, uh, an outdoor storage box that you can sit on top of. There’s a seat here to fit every budget, so get your order in, and hope the weather cooperates.